Can you believe there are only 3 days until Christmas?! I surely can’t! This year has flown by way too fast but I am so very excited for what the holiday season brings! There are so many reasons I love the holidays -- from holiday parties to festive holiday décor to finding the perfect present for that special someone. 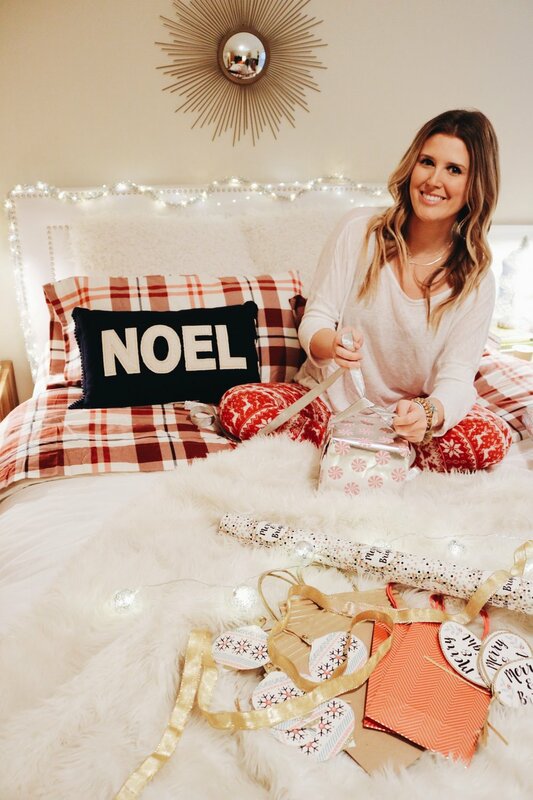 After a long day of Christmas shopping (or anything for that matter), there’s nothing better than curling up in your cozy bed. 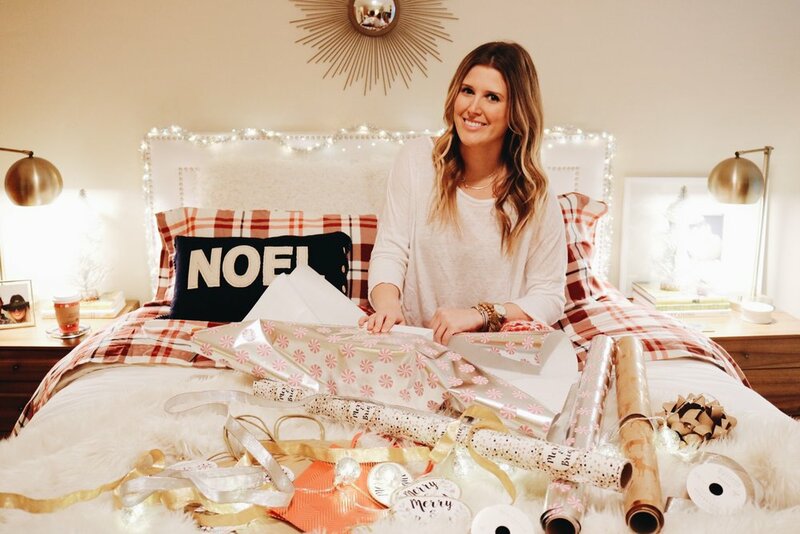 One of my favorite traditions is throwing on my Christmas jammies, putting on holiday movie, and hopping into my Stearns & Foster mattress to relax and unwind as I wrap my Christmas presents (p.s. I am a TOTAL wrapping paper junkie. I seriously think I have a problem). I am also beyond obsessed with my Stearns & Foster mattress (mine is a Stearns & Foster hybrid, which is amazing). My family has always purchased Stearns & Foster mattresses for as long as I can remember- If you have never heard of Stearns and Foster, let me tell you why they are my favorite luxury bed! Every Stearns & Foster mattress is handcrafted by specially-trained master craftsmen who pay relentless attention to detail to make each of these beds exceptional. My favorite part is the combo of foam and coils that adapt and support my body. Especially during the busy holiday season, the best part of my day is getting into bed and having that instant feeling of calm and relaxation. Every holiday season, I find so much joy in getting THE perfect gift for someone. Don’t get me wrong, I do love a good gift card, but at the end of the day it is so rewarding to find a gift for your best friend, boyfriend, sibling, etc that makes them genuinely smile in gratitude! There’s no better feeling than nailing a gift for someone you care about. What’s your favorite part of the holidays?! IN PARTNERSHIP WITH STEARNS & FOSTER. ALL OPINIONS ARE MY OWN.